Our Entry Doors Raise The Bar to a New Level! Huff ‘N Puff is proud to install durable, reliable entry door systems from ProVia® one of the country’s leading door manufacturers. ProVia entry doors are energy efficient, built to the highest quality standards and deliver superior performance and value for many years to come. The ProVia “professional grade” entry doors installed by Huff ‘N Puff are made from the highest quality materials, starting with 20-gauge galvannealed steel that contains 49% more steel than a consumer-grade door. 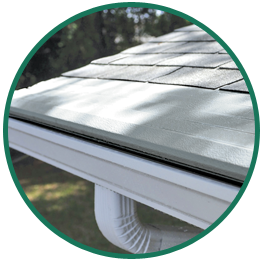 This provides exceptional durability that is backed by a lifetime limited transferable warranty. All Huff ‘N Puff entry doors are custom sized and made specifically for your home to ensure a secure fit to help keep out the weather and intruders. You can choose from a wide range of doors in either steel, fiberglass or wood, with options for the style, size, color, glass and hardware to customize the door for your home’s décor. 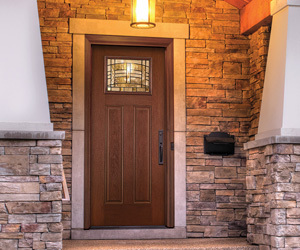 All ProVia entry doors qualify for the ENERGY STAR® program. ENERGY STAR was created by the U.S. EPA and Department of Energy to help consumers identify products that save energy and money and protect the environment. We are proud that every ProVia entry door we install is ENERGY STAR certified. When you have Huff ‘N Puff build and install an energy efficient entry door in your home, you can expect to save money on heating and cooling costs, improve the interior comfort of your home, and enjoy the peace of mind of knowing your home and family are secure behind the country’s most reliable door system. Call or click today for a free estimate on a new entry door for your home. Complete our convenient online price quote request, or call Huff ‘N Puff today at (855) 483-3678 to get a free, no obligation estimate on new doors for your home.